Corsair has written to HEXUS with details of a new world record breaking memory kit for PC enthusiasts. The Corsair Vengeance SODIMM DDR4 4,000MHz 32GB (4x8GB) kit is aimed at PC builders running Intel’s high-end-desktop X299 motherboard platform in SFF and mini-ITX form factors (thus requiring DDR4 SODIMMs). There are also some high performance gaming laptops that allow the fitting of 4x8GB SODIMM kits. 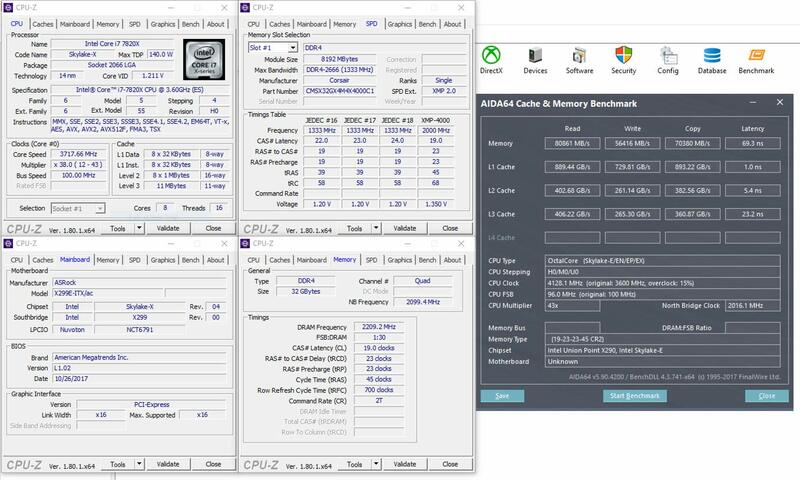 To create such a fast and stable running memory kit Corsair says that it hand-sorts and extensively bins Samsung B-die ICs. The kits boast “super-tight CL19-23-23-45 timings at 1.35V”. Corsair’s memory kits are Intel XMP 2.0 compatible so you can easily get your kit up and running at its advertised speeds (just plug in and go, says Corsair). Corsair validated the Corsair Vengeance SODIMM DDR4 4,000MHz 32GB (4x8GB) kit on a PC system featuring an Asrock X299 ITX/AC, as you can see in the screenshot above. The Intel Skylake-X Core i7 7820X (8C/16T) test system ran quickly and smoothly. Corsair reminds would-be purchasers that its capacious RAM kit would also be a great partner to even beefier processors like the Core i9 range with up to 16C/36T, providing ample processing power “and massive memory bandwidth in Mini-ITX small-form-factor PCs”. Corsair says its Vengeance SODIMM DDR4 4,000MHz 32GB kits are in stock online and should be available from the usual high-end PC component retailers. Pricing online for this 32GB kit is $595, buyers get a limited lifetime warranty. 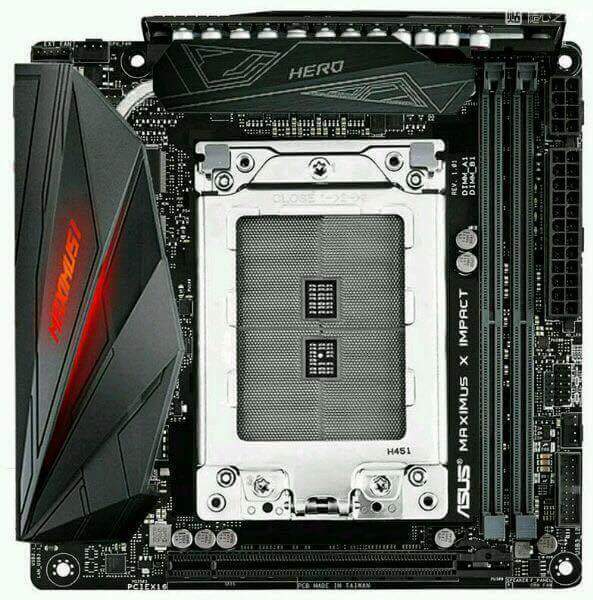 and it would go just as nicely in a AMD threadripper build presumably? Only if you can find a TR4 motherboard that takes LAPTOP memory!